The Aryacakravarti dynasty (Tamil : அரியச் சக்கரவர்த்திகள் வம்சம், Sinhalese ආර්ය චක්‍රවර්තී රාජවංශය​) were kings of the Jaffna Kingdom in Sri Lanka. 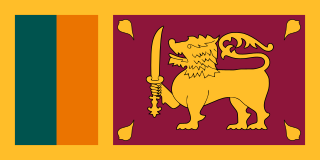 The earliest Sri Lankan sources, between 1277 and 1283, mention a military leader of this name as a minister in the services of the Pandyan Empire; he raided the western Sri Lankan coast and took the politically significant relic of the Buddha’s tooth from the Sinhalese capital city of Yapahuwa. Political and military leaders of the same family name left a number of inscriptions in the modern-day Tamil Nadu state, with dates ranging from 1272 to 1305, during the late Pandyan Empire. According to contemporary native literature, such as Cekaracecekaramalai, the family also claimed lineage from the Tamil Brahmins of the prominent Hindu pilgrimage temple of Rameswaram in the modern Ramanathapuram District of India. They ruled the Jaffna kingdom from the 13th until the 17th century, when the last of the dynasty, Cankili II, was ousted by the Portuguese. The origins of the Aryacakravarti are claimed in contemporary court chronicles; modern historians offer some competing theories. Iyer is a caste of Hindu Brahmin communities of Tamil origin. Most Iyers are followers of the Advaita philosophy propounded by Adi Shankara. The majority reside in Tamil Nadu, India. Caste is a form of social stratification characterized by endogamy, hereditary transmission of a lifestyle which often includes an occupation, status in a hierarchy, customary social interaction, and exclusion. It is an extreme evolution of a system of legally-entrenched social classes, also endogamous and hereditary, such as that of feudal Europe. Although caste systems exist in various regions, its paradigmatic ethnographic example is the division of Indian society into rigid social groups, with roots in India's ancient history and persisting until today; it is sometimes used as an analogical basis for the study of caste-like social divisions existing outside India. In biology, the term is applied to role stratification in eusocial animals like ants and termites, though the analogy is imperfect as these also involve extremely stratified reproduction. Maravar are a Tamil community in the state of Tamil Nadu. These people are one of the three branches of the Mukkulathor confederacy. Members of the Maravar community often use the honorific title Thevar. In the study of history as an academic discipline, a primary source is an artifact, document, diary, manuscript, autobiography, recording, or any other source of information that was created at the time under study. It serves as an original source of information about the topic. Similar definitions can be used in library science, and other areas of scholarship, although different fields have somewhat different definitions. In journalism, a primary source can be a person with direct knowledge of a situation, or a document written by such a person. The Cūḷavaṃsa, also Chulavamsa, is a historical record, written in the Pali language, of the monarchs of Sri Lanka. It covers the period from the 4th century to 1815. The Culavamsa was compiled over many years by Buddhist monks, and displays a variety of epic styles. It is generally considered to be a sequel to the Mahavamsa written in the 6th century by the monk Mahanama. The Mahavamsa and the Culavamsa are sometimes thought of as a single work spanning over two millennia of Sri Lankan history. The Cekaracecekaramalai written during the Aryacakravarti rule in Jaffna asserts that the direct ancestors of the Kings belonged to a group of 512 Ariyar (a Brahmin priestly caste) of the Pasupata sect of the Rameswaram Hindu temple. The source also claims that two out of the 512 were selected as Kings of Ariyars. It also explains that a direct ancestor of the kings was a scribe in the Pandyan kingdom and was called during a war with other kingdoms to assist the king, and that the ancestors of the kings fought in wars against kings in the Hoysala and Karnataka. The conquest by a certain Sapumal Kumaraya, a military leader sent by the Kotte king, seemed to have left an indelible impression on the Sinhalese literati. The victory of Sapumal Kumaraya is sung in the Kokila Sandesaya ("Message carried by Kokila bird") written in the 15th century by the principal monk of the Irugalkula Tilaka Pirivena in Mulgirigala. The book contains a contemporary description of the country traversed on the road by the cookoo bird from Devi Nuwara ("City of Gods") in the south to Nallur ("Beautiful City") in the North of Sri Lanka. 1 2 Holt, John (2011). The Sri Lanka Reader: History, Culture, Politics. Duke University Press. p. 83. ISBN 0822349825. ↑ "Salem District, Namakkal Taluk, Namakkal. Narasimha-Perumal Temple – In The Underground Cellar, Near The Entrance Into The Central Shrine (A.R. No. 11 of 1906)". South Indian Inscriptions. Retrieved 2008-03-17. ↑ Malays and all South East Asians are knows an Javakas or "Javanese" in Indic literature. ↑ Paranavitana, Senarat. "The Aryan Kingdom in North Ceylon". Journal of the Ceylon Branch of the Royal Asiatic Society. II: 174–224. ↑ Sastry, K.A Nilakanta. "Ceylon and Sri Vijaya". Journal of the Ceylon Branch of the Royal Asiatic Society. VIII: 125–140. ↑ Damais, Luis Charles. "transcription Chinoise- Ho -ling comme designation de Java". Bulletin de Ecole Frncaise D'extream-Orient. III: 93–141. ↑ Liyanage, The Decline of Polonnaruwa and the rise of Dambadeniya, p. 136; Recuil des Inscriptions du Siam II, 26, tr. 27. ↑ The throne name of Gunaveera Cinkaiariyan. ↑ de Silva, A History of Sri Lanka, p. 136; "Looking anew at Kandyan combat strategies". Betty Weerakoon. Archived from the original on 2011-06-05. Retrieved 2008-12-02. ↑ "Buddhist Jaffna" . Retrieved 2008-01-04. ↑ Coddrington, K. Ceylon coins and currency, pp. 74–76; "From Devundera to Dedigama". S. Pathiravithana. Archived from the original on 6 November 2007. Retrieved 2007-11-19. ↑ "The Kotte Dynasty and its Portuguese allies". Humphry Coddrington. Archived from the original on 10 December 2007. Retrieved 2008-01-03. ↑ Ross E. Dunn, The Adventures of Ibn Battuta – A Muslim Traveler of the 14th Century, University of California, 2004 ISBN 0-520-24385-4. Koneswaram Temple (Tamil: திருக்கோணேச்சரம் Tirukkōṇēccaram, also known as Dakshinakailasha is a classical-medieval Hindu temple dedicated to Lord Shiva in Trincomalee, Eastern Sri Lanka. The temple is situated atop Konesar Malai, a promontory that overlooks the Indian Ocean, the nearby eastern coast, as well as Trincomalee Harbour or Gokarna Bay. Koneswaram is revered as one the Pancha Ishwarams, of Sri Lanka for long time. Being a major place for Hindu pilgrimage, it was labelled "Rome of the Gentiles/Pagans of the Orient" in some records. Koneswaram holds a significant role in the religious and cultural history of Sri Lanka, as it was likely built during the reign of the early Cholas and the Five Dravidians of the Early Pandyan Kingdom. Kalinga Magha also known as Magha the Tyrant and Kulankayan Cinkai Ariyan, is an invader who is remembered primarily for his aggressive conquest. He is identified as the founder of the Jaffna kingdom and first king of the Aryacakravarti dynasty. According to the Segarāsasekara-Mālai belong the first Aryacakravarti king of Jaffna to Eastern Ganga dynasty of Kalinga, who were descendants of Western Gangas and Cholas. His family was connected to the rulers of Ramanathapuram in Tamil Nadu. Kalinga Magha’s relatives of Ramanathapuram administered the famous temple of Rameswaram. He usurped the throne from Parakrama Pandyan II of Polonnaruwa, in 1215. His reign saw the massive migration of native Sinhalese to the south and west of Sri Lanka, and into the mountainous interior, in a bid to escape his power. Magha was the last ruler to have his seat in the traditional northern seat of native power on the island, known as Rajarata; so comprehensive was his destruction of Sinhalese power in the north that all of the successor kingdoms to Rajarata existed primarily in the south of the island. "The women-folks of lords of Anurai who did not submit to Ariyan of Cinkainakar of foaming and resounding waters shed tears from eyes that glinted like spears and performed the rites of pouring water with gingerly seed from the bejeweled lotus like hands." The Flag of the Jaffna Kingdom of the Aryacakravarti line of kings of Jaffna kingdom in northern Sri Lanka consisted of the couchant bull, the silver crescent moon with a golden sun. The single sacred conch shell, which spiral open to the right, and in the centre above the sacred bull, is a white parasol with golden tassels and white pearls. The color of the Royal Flag is saffron. The flag symbols are similar to number of flags found in India especially belonging to the Eastern Ganga dynasty. The Setu coins minted by the Aryacakravarti kings also have a similar symbol. Setu coins or Setu bull coins are found in large quantities in the northern part of Sri Lanka and in Southern India. Codrington in his book Ceylon Coins and Currency published in 1924 and Mitchiner in his book Oriental Coins published in 1978 have clearly pointed out that the traditional design of Sri Lanka standing King Type Copper Massa (coins) of the Jaffna Kingdoms belongs to the Aryacakravarti dynasty from 1284 AD to 1410 AD. Setu coins were previously attributed to the Setupati Princes of Ramanathapuram in South India. There are two series one in the issued from the 13th to the 15th centuries and the other after the brief loss of sovereignty to the rival Kotte kingdom from 1450 to 1467 and reconstitution of the Kingdom. Even during the rule of Sapumal Kumaraya coins were issued in Jaffna that was distinct. Three types of this series are illustrated below. The obverse of these coins have a human figure flanked by lamps and the reverse has the Nandi (bull) symbol, the legend Sethu in Tamil with a crescent moon above. Kanakasooriya Cinkaiariyan was the first of the Aryacakravarti dynasty kings of Jaffna Kingdom to lose complete power to a rival king. He inherited the throne from his father Gunaveera Cinkaiariyan in 1440. He was deposed in 1450 by Sapumal Kumaraya a military leader sent by Parakramabâhu VI from the rival Kotte Kingdom in the south. Number of primary sources such as Rajavaliya and Kokila Sandesa written in Sinhalese vividly describe the planning and conquest of the Jaffna Kingdom. Nissanka Malla, also known as Kirti Nissanka and Kalinga Lokesvara was a king of Sri Lanka who ruled the country from 1187 to 1196. He is known for his architectural constructions such as the Nissanka Lata Mandapaya, Hatadage and Rankot Vihara, as well as for the refurbishment of old temples and irrigation tanks. Vickrama Cinkaiariyan was the fourth of the Aryacakravarti kings of Jaffna Kingdom. Author of the book “Ancient Jaffna” C. Rasanayagam calculated that he has been ruled Jaffna from 1279 to 1302. Yalpana Vaipava Malai says during his rule the county was in disorder. Riot occurred between Sinhalese and Tamils. Vickrama Cinkaiariyan ordered death sentences 17 Sinhalese and imprisoned many Sinhalese after the murder of 2 Tamils. Virodaya Cinkaiariyan was the Aryacakravarti king of the Jaffna Kingdom in modern-day northern Sri Lanka. Tamil historical writer C. Rasanayagam calculated Virodaya Cinkaiariyan’s reign was from 1371 to 1394 while Swamy Gnanapirakasar calculated from 1344 to 1380. During his reign, Vanniar incited Sinhalese for rebellion, which resulted suppression of rebellion, Virodaya’ innovation against Vanniar and they suffered. de Silva, K.M. (2005). A History of Sri Lanka. Colombo: Vijitha Yapa. p. 782. ISBN 955-8095-92-3. Kunarasa, K. (2003). The Jaffna Dynasty. Johor Bahru: Dynasty of Jaffna King’s Historical Society. p. 122. ISBN 955-8455-00-8. Pathmanathan, Sivasubramaniam (1974). The Kingdom of Jaffna: Origins and early affiliations. Colombo: Ceylon Institute of Tamil Studies. p. 27. Spence, Jonathan (1990). Sri Lanka: History and the Roots of Conflict. US: Routledge. p. 253. ISBN 0-415-04461-8. Holt, John Clifford (1991). Buddha in the Crown: Avalokitesvara in the Buddhist Traditions of Sri Lanka. US: Oxford University Press. p. 304. ISBN 0-19-506418-6. Rasanayagam, Mudaliyar (1926). Ancient Jaffna,being a research into the History of Jaffna from very early times to the Portuguese Period. Everymans Publishers Ltd, Madras (Reprint by New Delhi, AES in 2003). p. 390. ISBN 81-206-0210-2. Coddrington, H.W. (1996). Ceylon Coins and Currency. New Delhi: Vijitha Yapa. p. 290. ISBN 81-206-1202-7. Coddrington, H.W. (1994). Short History of Ceylon. New Delhi: AES. p. 290. ISBN 81-206-0946-8. Liyanagamage, Amaradasa. (1968). The decline of Polonnaruwa and the rise of Dambadeniya (circa 1180–1270 A.D.). Colombo: Dept. of Cultural Affairs. p. 782. ASIN B0006C248I.